The home-field disadvantage is a thing of the past for the Kansas City Chiefs. The Chiefs came into their divisional playoff game with the Indianapolis Colts with quite a few questions to answer. They lost two of their final three regular-season games, they had one of the most porous defenses in the league and they had lost 11 of their last 12 playoff games, including their last six at home. The Colts were rolling, having won 10 of their last 11 games, including a road victory over the Houston Texans in the wild-card game. The Colts had the consistency and big-play ability of quarterback Andrew Luck, a powerful offensive line and a hard-hitting defense led by star rookie outside linebacker Darius Leonard. But if there were any doubt on the Kansas City sidelines, it disappeared early. The Chiefs took charge early with touchdowns on their first two possessions, and they rolled to a convincing 31-13 victory over the Colts. Patrick Mahomes threw for 278 yards, and running back Damien Williams powered through snow and wintry conditions for 129 yards. While the Chiefs were operating at a high level on offense, their much-maligned defense did an excellent job of keeping Luck and the Indianapolis offense in check. The Chiefs ranked 31st on defense this season, but that unit harassed Luck and kept Marlon Mack from getting going in the running game. Mahomes explained that the Chiefs players had no concerns over previous playoff failures. "We're such a different team," Mahomes said, per the Associated Press (h/t CBSSports.com). "We have such young players. We have such confidence we're going to win every single game." The Chiefs will host the winner of Sunday's divisional playoff game between the Los Angeles Chargers and the New England Patriots at Gillette Stadium in Foxborough, Massachusetts. The AFC title game will be played January 20 at 6:40 p.m. ET and will be televised by CBS. The Chiefs and Chargers split two games in the regular season, with the Chargers winning in Kansas City City. The Patriots defeated the Chiefs in a Week 6 game on the Patriots' home field. If the top-seeded Saints win their divisional playoff game at home against the Philadelphia Eagles, they will host the NFC title game. The Saints won the NFC South title and clinched the best record in the league with their 13-3 record. Drew Brees has completed 74.4 percent of his passes, and that's going to make it very difficult for the Eagles to slow down the New Orleans offense. Running back Alvin Kamara is able to take quite a bit of the pressure off Brees because Kamara can make tacklers miss when he runs with the ball, and he also rarely goes down on first contact. 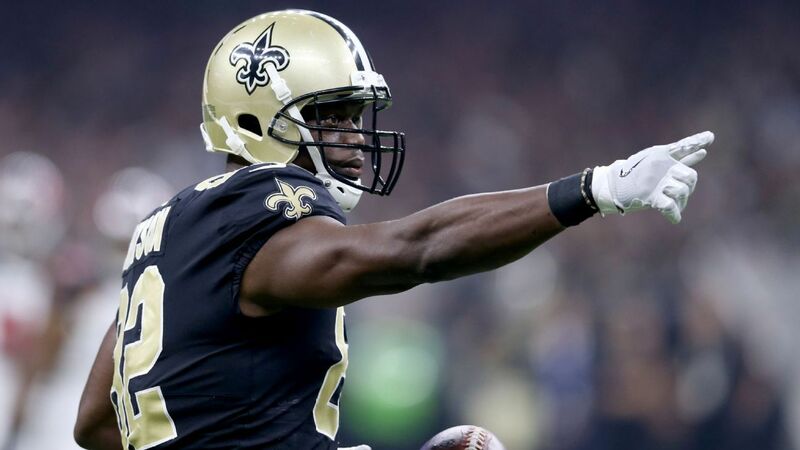 If Kamara can give the Saints a consistent ground game, that may allow wideout Michael Thomas to hit a couple of home runs. Thomas is a game-changing receiver who can run by defenders and also win the battle on the jump ball. The Eagles have quite a bit to overcome in this game, as they were overwhelmed 48-7 by the Saints in Week 11. Philadelphia won its last three regular-season games and then upset the Chicago Bears in the wild-card round. It seems fairly obvious that the Eagles are playing much better football with Nick Foles at quarterback than they were in their first meeting with New Orleans, but it looks highly improbable that the defending Super Bowl champions will get the best of the Saints at this point. The winner of this game will take on the Los Angeles Rams, 30-22 victors over the Dallas Cowboys. The Rams struggled somewhat in the second half of the season, but they benefited from the bye week and played a strong defensive game against Cowboys running back Ezekiel Elliott and limited him to 47 yards on 20 carries. The Los Angeles ground game was exceptional, picking up 273 yards as Todd Gurley and C.J. Anderson both exceeded the 100-yard mark. Anderson rushed for 123 yards and two touchdowns, while Gurley picked up 115 yards and scored on a 35-yard TD run. Rams quarterback Jared Goff clinched the victory when he picked up a first down on a 3rd-and-7 play with less than two minutes remaining. Goff rolled to his right, found a running lane and stayed inbounds after getting the first down. "I had the option and I saw a lane so I kept the ball," Goff told Fox reporter Chris Myers. "The guys blocked great for me and I picked it up." The NFC title game will be in New Orleans January 20 if the Saints beat the Eagles, and it will be in Los Angeles if the Eagles upset the Saints. The NFC title game will kick off 3:05 p.m. ET.